This delightful semi detatched property sits on an elevated site overlooking the sea. 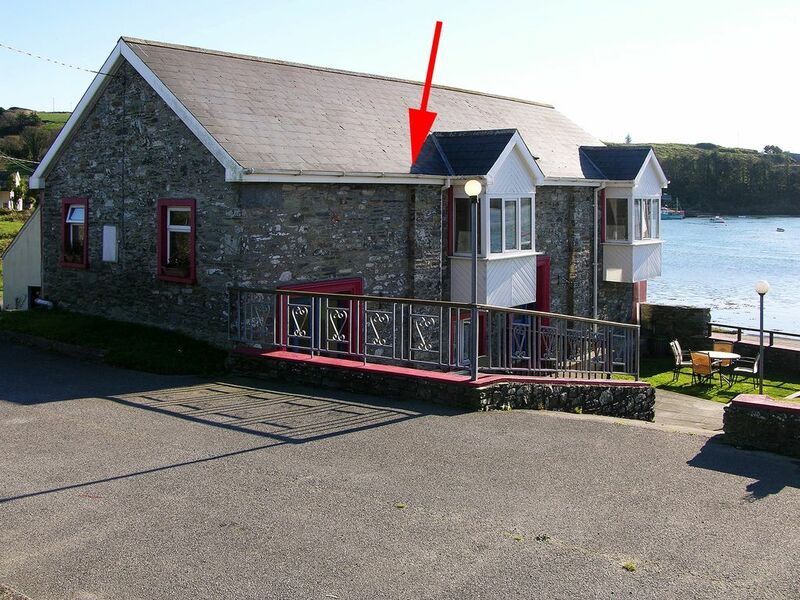 It is 2.5 miles from Clonakilty and just over an hour's drive from Cork. The living area is on the first floor to take full advantage of the beautiful views and it has been designed to maximize the light. There is a lovely patio to the front ideal for relaxing and watching the world go by. Nearby, Clonakilty offers a host of restaurants and pubs with traditional music. Golf, fishing, horse riding and walking are all easily accessible.Shop 2.5 miles. Pub 440 yards. Restaurant 880 yards. Beach 1 mile. GF: double with ensuite shower room, twin. FF: lounge/kitchen/diner, bathroom with shower over bath.Electricity by meter read, Electricity is run by EUR5 meter cards which can be got from the owner, linen and towels included, travel cot, high chair, TV, dvd player, radio, fridge with small ice box, microwave, w/machine, dryer, electric heaters, uk tv channels, welcome pack, partially enclosed garden, patio area, sitting out area, patio furniture, off road parking. Sorry no pets. The temporary road closure and diversion route meant it was more of a challenge to get to and from Clonakilty and the storm tides flooding the road at high tide added interest! Mrs Falvey made us welcome on arrival and the accommodation was clean, fresh and comfortable..suited us fine for a mix of self catering and eating out. Great seafood in local restaurants. Beautiful scenery and friendly people. Enjoyed local walks when the weather allowed.